JUST ANNOUNCED Florida Georgia Line is bringing their Las Vegas Residency back to Zappos Theater at Planet Hollywood Resort & Casino November 6, 8, 9 & 12! Don’t miss out on these country music stars. 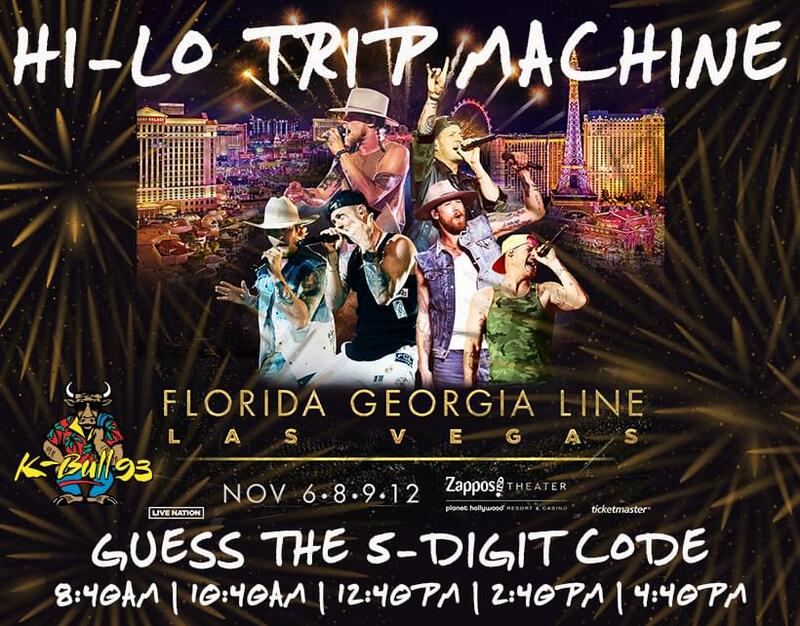 Be caller #13 and take your guess at the 5-Digit Code. If you get it right you will be heading to Las Vegas to see Florida Georgia Line with 2-Night Hotel Stay and $100 Gas Card.